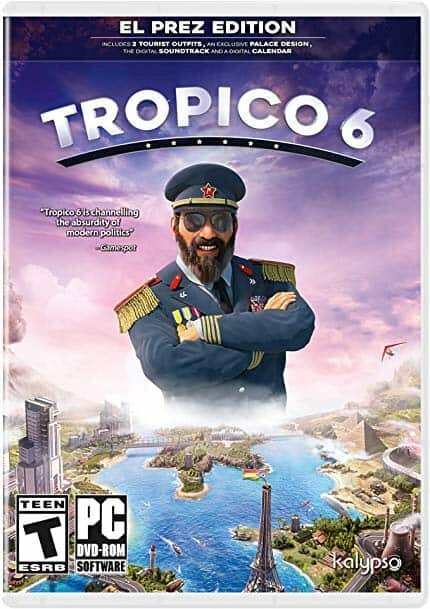 I have to say, I have always had a soft spot for the Tropico franchise. The young, optimistic side of me had a long history with city builders like SimCity while the edgy teenage loved the idea of running a corrupt regime. Even as a boring adult I enjoy managing an economy and trade routes and being a somewhat more magnanimous ruler to the fine Tropican people. Tropico 6, the most recent iteration of this steamy simulation, affords me a wonderful opportunity to do just that. If you haven’t yet experienced a game from the Tropico franchise, they are city-builders set on tropical islands with a heavy focus on economic engine building and relationship management with various factions. Some of those factions being external superpowers that may send foreign aid or embargo your exports, and other factions comprising the people you now govern. Building a shiny new watchtower may please local militarists while religious groups would rather you spent your time on more pious endeavours. Additionally, this series got its start around the same time as Black and White and Stronghold, where being a big jerk was an acceptable play style and a major selling point. In Tropico that manifests as throwing political opponents in jail or passing legislation that siphons money into your offshore bank accounts, which acts as a special currency used to buy shady services like some sort of free-to-play game (Truly the most deplorable of acts). 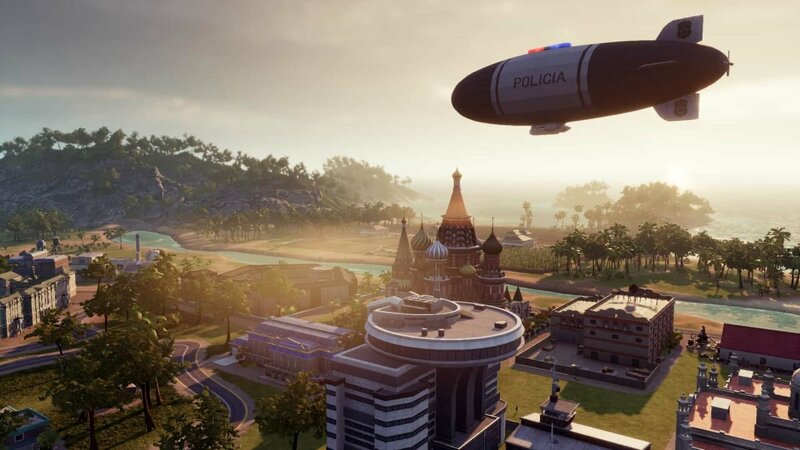 The good news is that Tropico 6 feels like the strongest entry into the franchise. The graphics are lush, making it look more like a vibrant island paradise than a dilapidated shanty town, the music is practically infectious with it’s cool Caribbean inspired beats, and the writing is usually pretty well done, even funny. Notable additions to series’ fare are archipelagos and heists. No longer is your hard-working, though opinionated populace constrained to live their lives on one tiny island, now your people, through harbours and over bridges, can exploit the natural resources of numerous islands under your dominance. It can only mean more teamsters offices, more docks, more apartments and restaurants. It brings to mind phrases like “Logistical nightmare,” but in a good way, I promise. Other new features (the heists) are a completely different beast altogether. During your tenure as El Presidente, you make find yourself employing some less than reputable folks. These individuals come in various different flavours depending on the time period, pirates, hackers, spies, you get the picture. Now, those lovely people find themselves in all sorts of sordid affairs like acquiring trade goods or “rescuing” potential tropical citizens. They may even find themselves stealing national monuments for display in Tropico. Honestly, I don’t see why Stonehenge or the Haglia Sophia shouldn’t sit right across from an exotic Tropican beach tavern. The heists and archipelagos just add more options to an already impressive tableau of play styles. The game itself adheres to two styles of play, guided scenarios where the player must play through various unique objectives or sandbox play where they are free to mould the island chain as they see fit. The scenarios serve the same function as a campaign, with Penultimo, chief advisor and toady to the regime, guides players through El Presidente’s illustrious past and dirty dealings. There’s a good deal of excellent voice work done throughout these, and the variety of missions run the gamut from overthrowing previous oppressive regimes to harbouring spies and political dissidents in your little slice of heaven. Writing in these scenarios is often sharp, though a bit cheesy, and Tropico certainly has a distinct voice which may turn off some players. Yes, Tropico even gets a bit topical as El Presidente brags that he will build bridges rather than walls as he gets off twitter for the day. 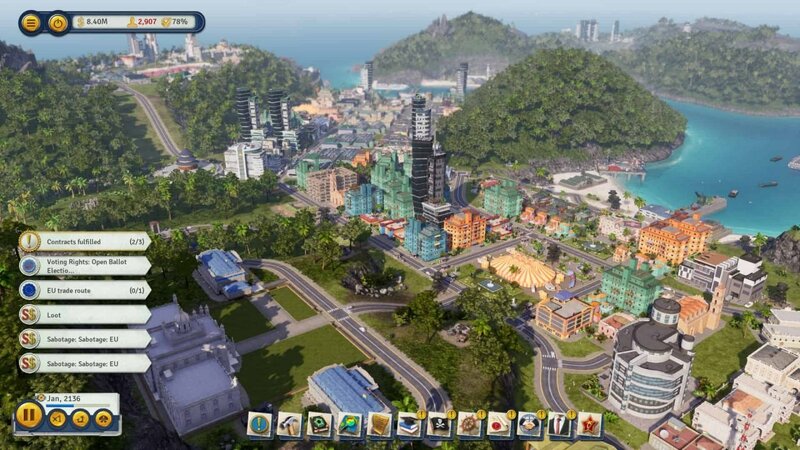 Tropico 6 isn’t only half-hearted jabs and modern politics, but they certainly exist. The free play mode is what you would expect, with all the hours of endless fun and micromanaging you could dream of as you progress through the various wars and time periods, surviving election after election and dodging would-be assassins. 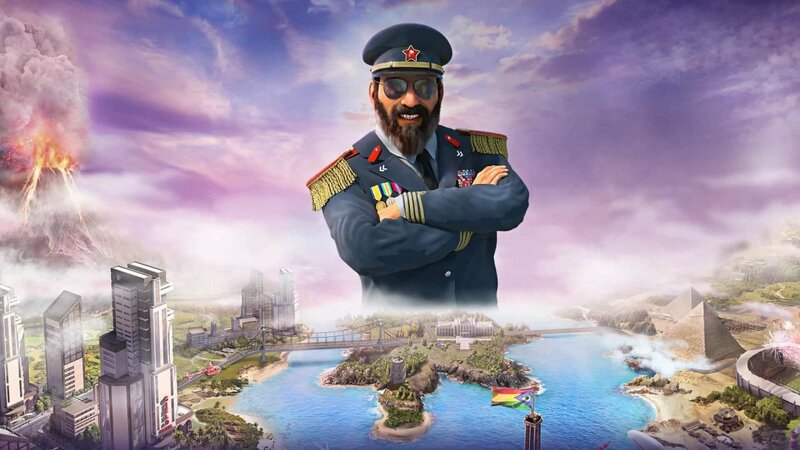 Now, Tropico 6 is hardly a perfect game. The series has always been a bit janky in spots. I ran into one particular bug where I needed a certain number of citizens in prison to meet an objective, but the game refused to notice my already depressingly high incarceration rate. Luckily, bugs like this can be patched and a lengthy beta promises to have addressed glitches like this as soon as possible. Tropico 6 is the realization of what I’ve wanted from this series for years now.